Leif runs online marketing company Mastermynde, and enjoys figuring out ‘now what’ for all kinds of businesses. He enjoys connecting people and is passionate about community building. Leif is a member of the Comox Valley Chamber of Commerce, the Rotary Club of Comox, and the Downtown Courtenay Business Improvement Association. 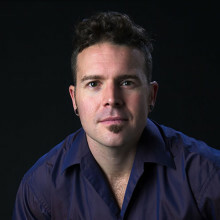 Leif moved to the Comox Valley in 2006, approximately two decades before he thought he’d be living anywhere smaller than Vancouver. It took him about six years to feel fully landed in the Comox Valley and now he’s more than thrilled to be living here. You can often find Leif at local epicurean events, splashing in the water (summer or winter), on a dance floor, or tilting a pint at the local brewery. CVC AMBASSADOR ROLL: Leif is the creator & curator of the Community Calendar.